1. Cook the elbow macaroni according to package instructions. Set aside. 2. Boil the chicken breast until cooked through. Wait for it to cool then shred by hand. 3. 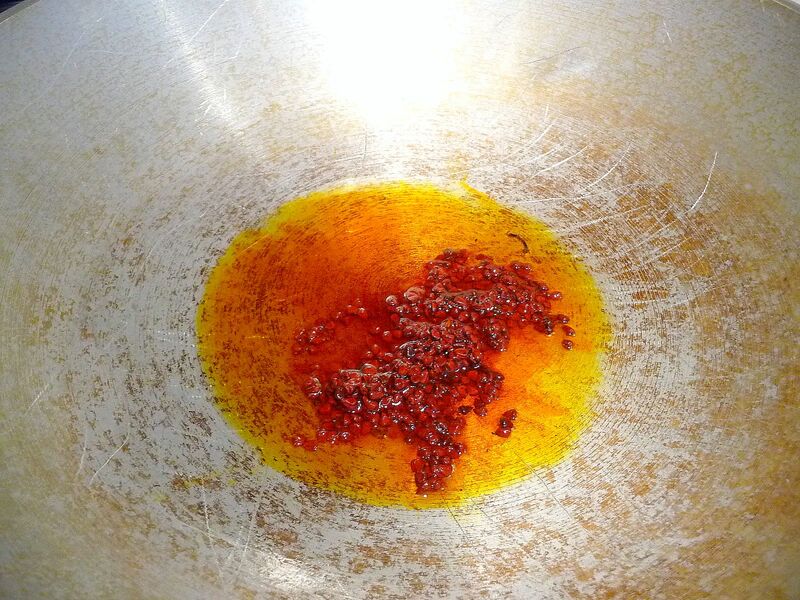 In a big skillet or wok, heat about 1/4 cup olive oil. Drop in annato seeds until the oil turns red orange. Remove seeds from oil. 4. Saute garlic until golden brown, add onions and mushrooms and saute for about half a minute. 5. Add the pasta and stir until the oil blends in the color well into the pasta. 6. 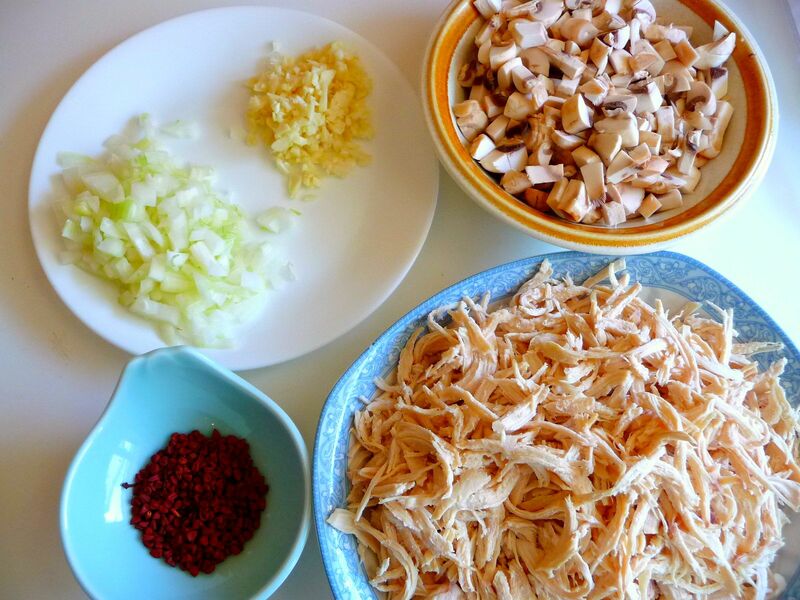 Add the cooked chicken. You might have to add olive oil a little at a time if it's too dry. 8. Season with about half a cooking spoon of soy sauce. 10. 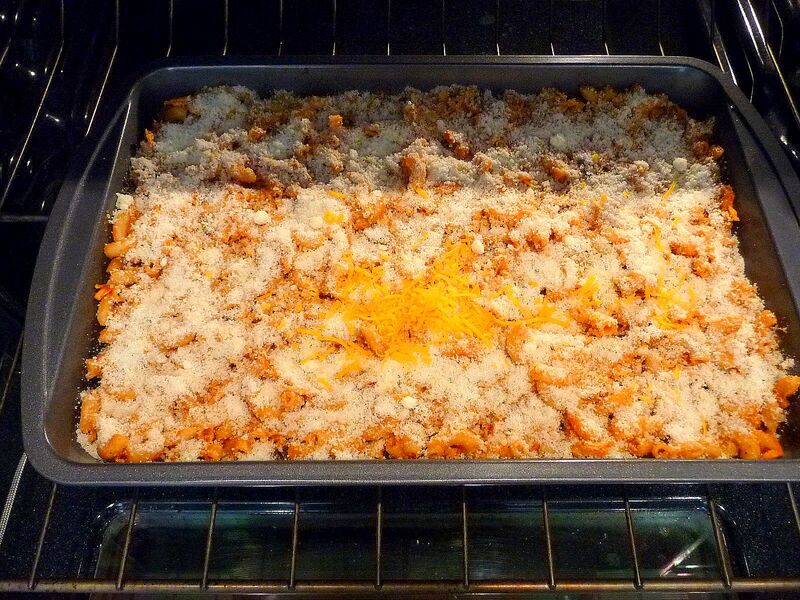 Transfer everything into a 9 x 13 baking pan starting with a layer of pasta and alternating it with grated cheddar cheese. Top with a generous amount of Parmesean cheese. 11. Place the pan in the oven at 350 degrees F until parmesean cheese is crusty, about 20 minutes. 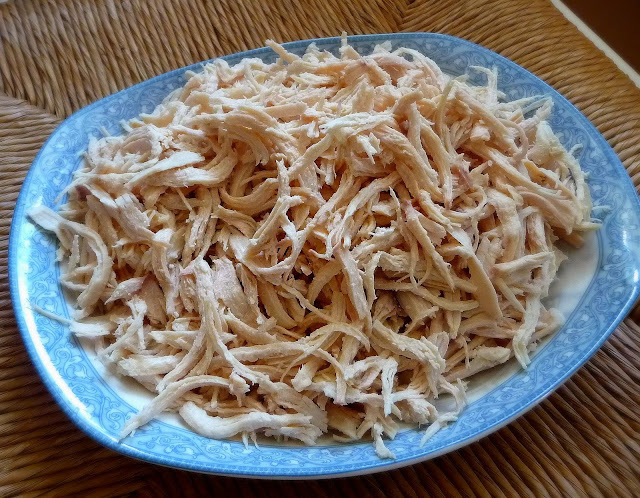 Shred the chicken by hand to a good size, not too chunky and not too thin. You want to be able to bite it without biting into big chunks. 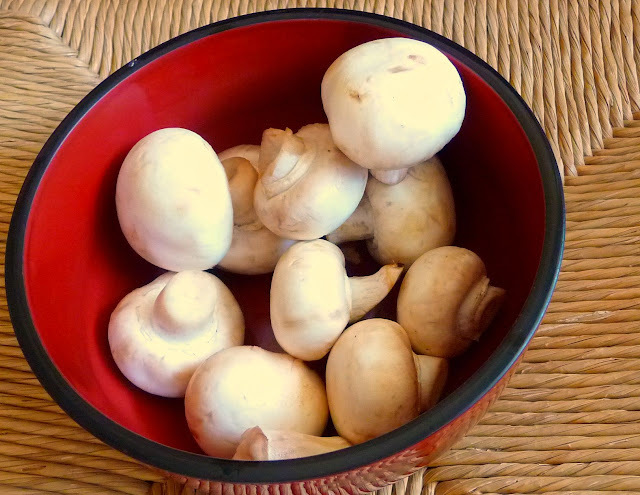 These are the kind of mushrooms I buy. I buy them by piece instead of by the pack. That way I can control how much I spend and I only buy what I will be using. Haha, I'm so thrifty. 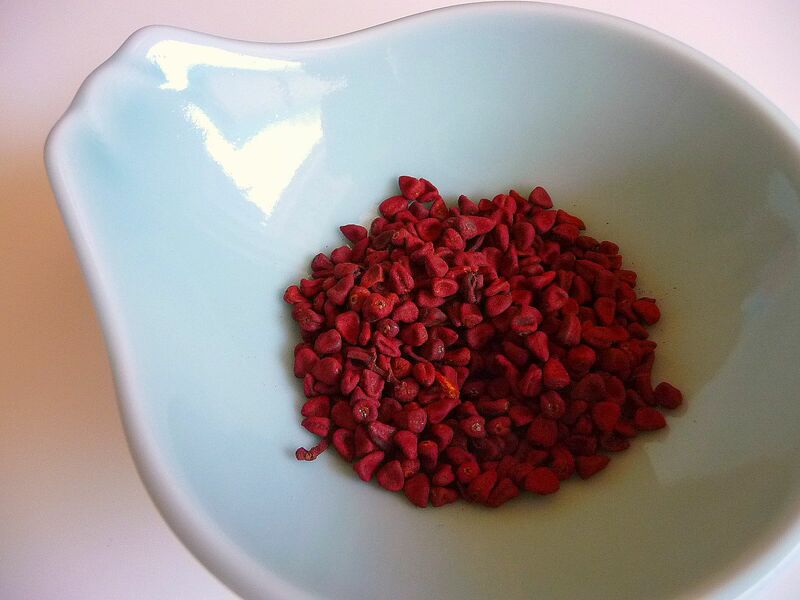 Annato seeds (achiote in Spanish) can be found in the Hispanic aisle of your supermarket. They are packaged in small plastic packets hanging together with all the other spices. It has a very mild flavor so you cannot put too much of this. The annato seeds are turning the olive oil into a deep red orange color. Remember to discard the seeds once you've achieved a nice deep red color. Call me crazy but I do add soy sauce to the pasta. Don't use too much, I only use about half a cooking spoon. It will give it a much deeper red color and a slight salty flavor. You can skip this if you wish. Nothing strict here. Finally, into the oven it goes. 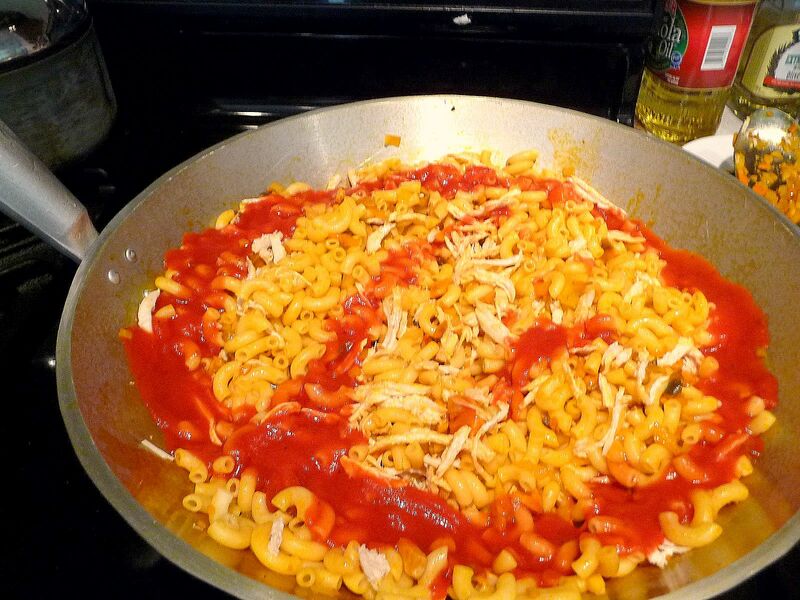 Remember to layer the grated cheddar cheese and pasta finishing it off with a topping of parmesean cheese. I added a little bit of cheddar in the center so I know when the cheese has melted. Bake at 350F for about 20 minutes. This dish is so delish. 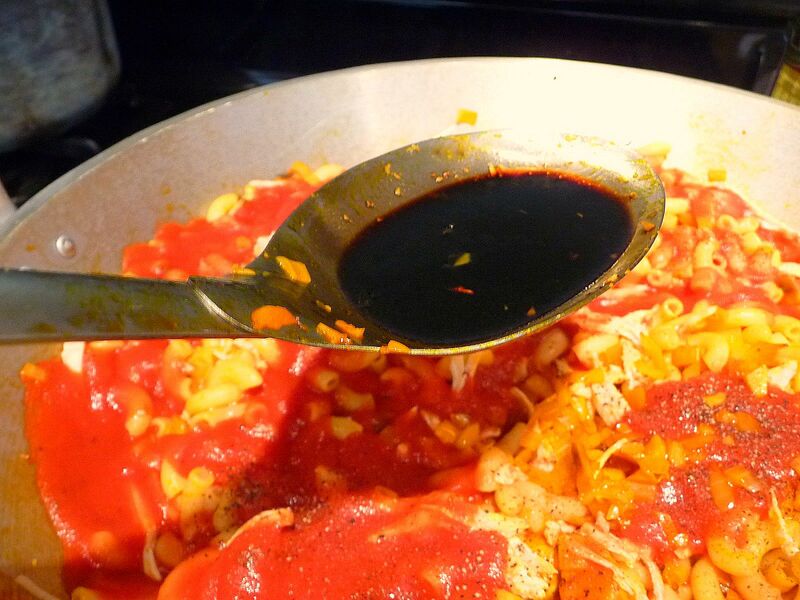 Adding chicken is a great flavor tweak. 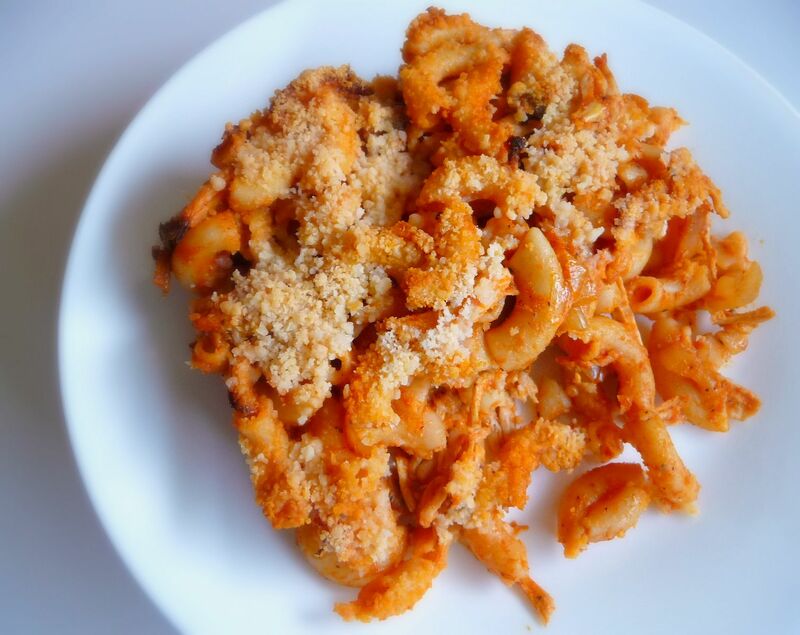 It should probably be named Baked Macaroni with Chicken though. You can also use ground beef if you prefer.